The updated PX4 site is shown below. 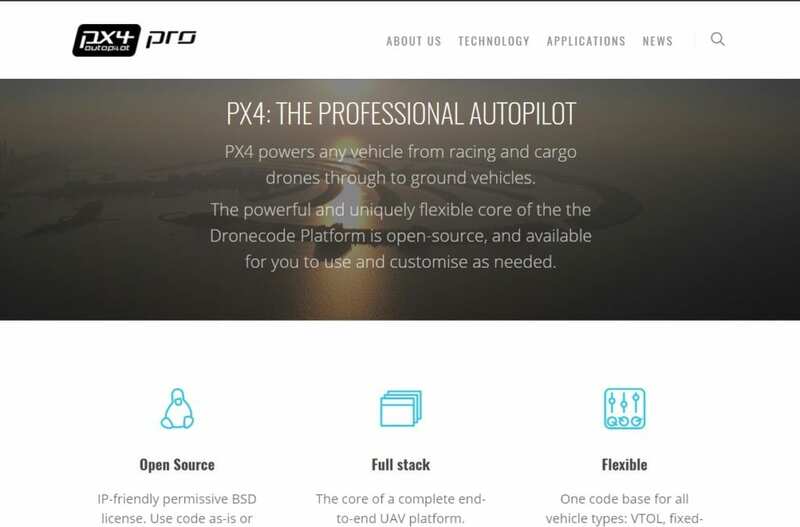 The PX4 Pro Website was updated in line with recent Dronecode site update. The new theme is a lot more attractive, and navigation is more straightforward. All the main Dronecode websites (Dronecode, PX4 Pro and QGroundControl) are now better connected and unified through a shared theme, fonts, and footer. The bottom of the updated PX4 site (with both PX4 and Dronecode footer) is shown below. All the Dronecode Platform documentation libraries now have cross links to the other libraries. This makes it much easier to find related documentation. The QGroundControl User Guide section on setting up vehicles has been updated to the current release. Embed the MAVLink common message documentation into the MAVLink Developer Library. Update the PX4 Developer Guide Simulation sections. If you want to be involved in documentation work, contact us on Dronecode discuss or through our issues tracker.